Croakers from Wanchese, N.C., are displayed on ice at the Locals Seafood booth at the Western Wake Farmers Market in Morrisville. Locals is at the market every weekend, but the croakers won’t be back until November. 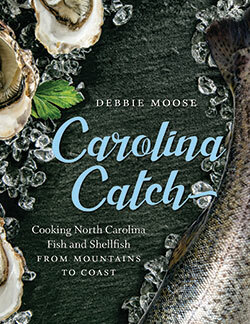 Author Debbie Moose will sign “Carolina Catch: Cooking North Carolina Fish and Shellfish from Mountains to Coast” at Quail Ridge Books, 4209-100 Lassiter Mill Road in Raleigh, at 7 p.m. on Thursday, April 12. When it comes to healthy dinner options, fish is a great catch. 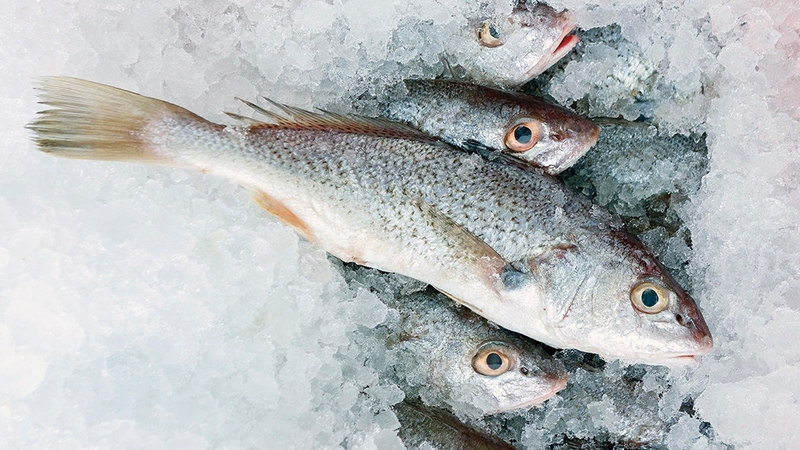 “Fish has so much variety — in textures, in flavors. Then if you add shellfish in there — oysters, shrimp and clams. 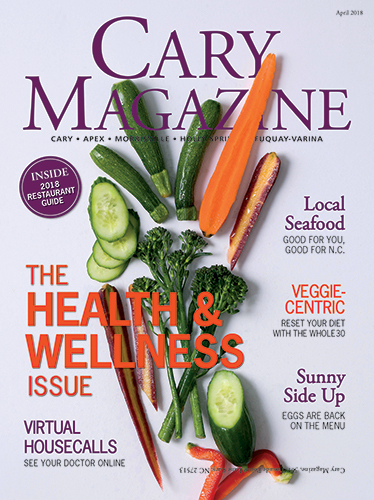 There’s just so much there, and so many things you can do with it,” said Debbie Moose, a Raleigh cookbook author. It’s also really good for you. The lean protein is low in saturated fats and cholesterol, and fish high in omega-3 fatty acids — such as N.C. trout — may actually reduce the risk of heart disease. The American Heart Association recommends eating at least two 3.5-ounce servings of fish each week. Given its versatility and health benefits, seafood should be a popular choice for dinner, but Moose says that isn’t so. 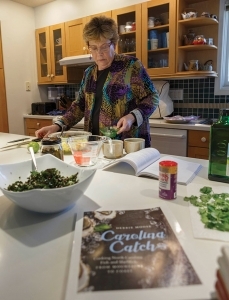 In her new book, “Carolina Catch: Cooking North Carolina Fish and Shellfish from Mountains to Coast,” Moose describes several ways to cook fish properly. Much depends on the thickness of the fish and its texture, but most cook up quickly — another advantage for busy consumers. 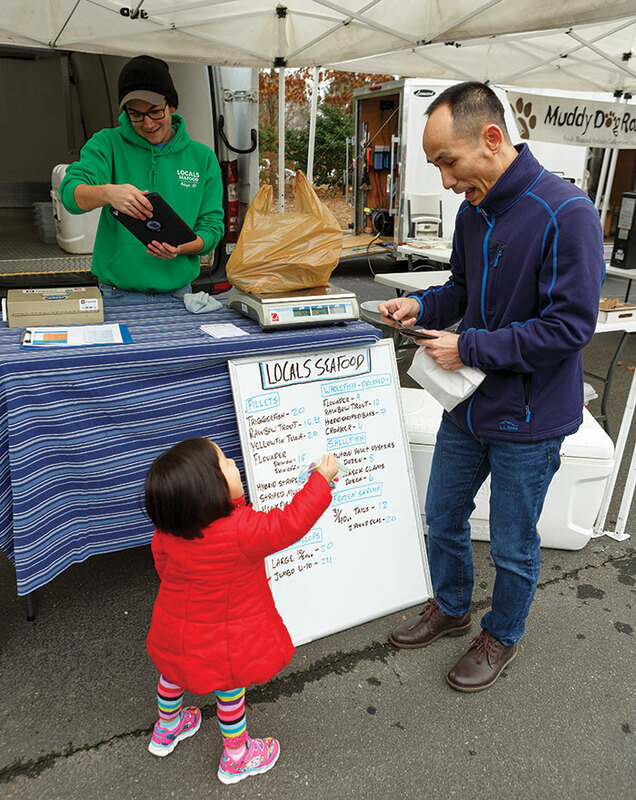 Katherine Nguyen, 2, helps her father, Hoan, pick up the catch of the day from Locals Seafood employee Nate Christensen at the Western Wake Farmers Market. And she says, buying local seafood can solve two common concerns about eating more fish — sustainability and cost. Overfishing has depleted some species, making them more expensive. And cheap imported seafood comes with hidden costs, says Moose. Environmental damage from shrimp farming in Asia has been well-documented, and the overseas industry in general is poorly regulated. But by eating lesser-known fish like monkfish, amberjack and black drum, consumers can get a quality product, help the environment and support N.C. fishermen. 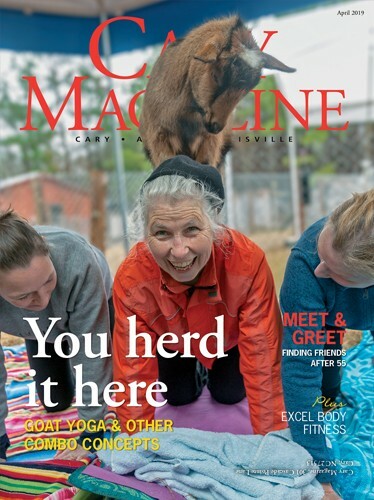 “With a little bit of effort, you can get something that’s much better for your family, much higher quality, and you’re benefiting people who live in the state,” she said. 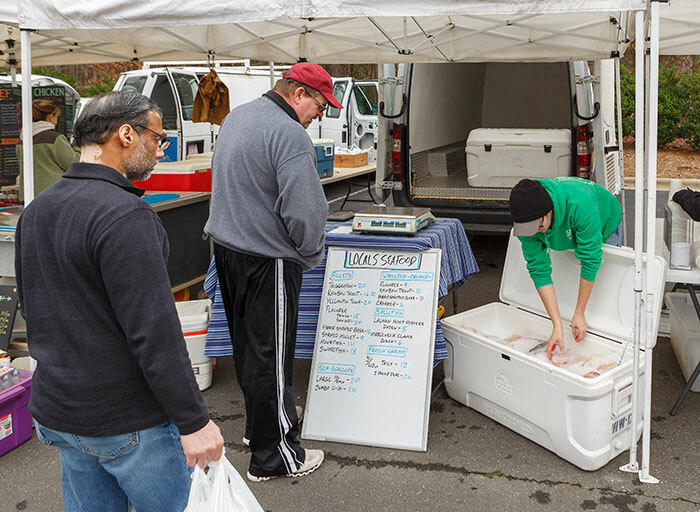 Jim Purvis of Cary, center, picks up sea scallops and triggerfish at the Western Wake Farmers Market. Only 25 percent of Locals’ seafood is sold to retail customers, but founder Lin Peterson says the farmers markets are a great way to educate consumers about local fish. Until recently, it has been difficult to find local seafood in the Triangle. Much of the state’s fish and shellfish is shipped north to large fish markets in Boston and New York, where fishermen can get better prices for their catch. Seeing the rise of the locavore movement, Ryan Speckman and Lin Peterson started Locals Seafood in 2010 with a cooler of Stumpy Point, N.C., shrimp and a pickup truck. Now the company makes four trips to the coast each week, bringing seafood to Raleigh for processing and distribution. 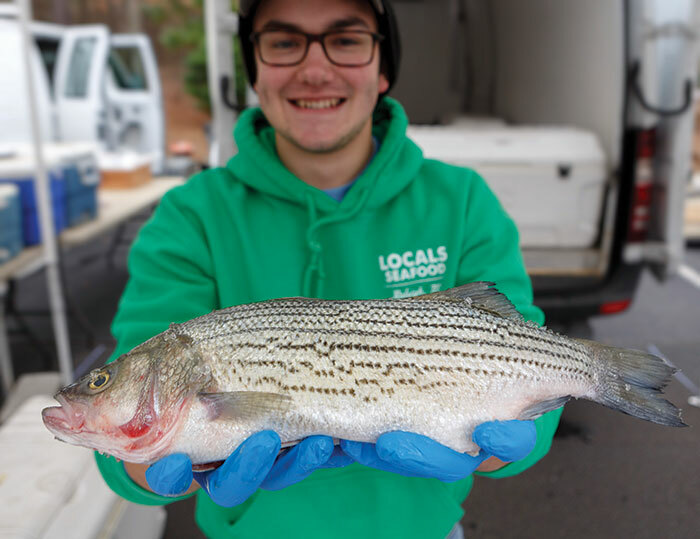 Nate Christensen holds a hybrid striped bass, which was raised at the Oak Grove Fish Farm in Washington, N.C.
“We saw a void in the marketplace,” said Peterson. “We’re only two or three hours from the coastline, so you’d think this product would just be making it here. It isn’t, because the supply chains move everything to the north. Locals Seafood can be found at area farmers markets including the Western Wake Farmers Market and the State Farmers Market in Raleigh. The company also operates a CSF, a community supported fishery, which provides subscribers with two pounds of fresh catch every week. Locals Seafood makes four trips to the coast each week to pick up fresh fish and bring it to Raleigh where it is cut and packaged. “We’re like an inland fish house,” says Lin Peterson. Like local produce, coastal seafood has seasons, too. On its website, Locals posts what is available at the weekend’s markets, and there is also a chart showing when different species will be most plentiful. Consumers can save money by buying fish when it’s in season, and the more unfamiliar fish can be more economical. As part of these education efforts, Locals also works with area chefs, getting them to branch out beyond tuna, mahi and flounder. Roughly 75 percent of Locals Seafood is sold to restaurants and retailers like Whole Foods and Weaver Street Market, says Peterson. Eateries with local seafood on the menu include The Provincial in Apex and Maximillian’s Grill and Pizzeria Faulisi in Cary. And both Peterson and Moose agree, eating more North Carolina seafood is a good thing. Local seafood can become more affordable if you buy in season and freeze it, but use within six months for the best flavor. Fillets: Pat the flesh dry, and wrap each fillet in heavy plastic wrap. Place the wrapped fillets in a freezer bag, press out the air and label. Shrimp: Remove the heads, but don’t remove the shells. For short-term freezing, place in a freezer bag, and squeeze out all the air. 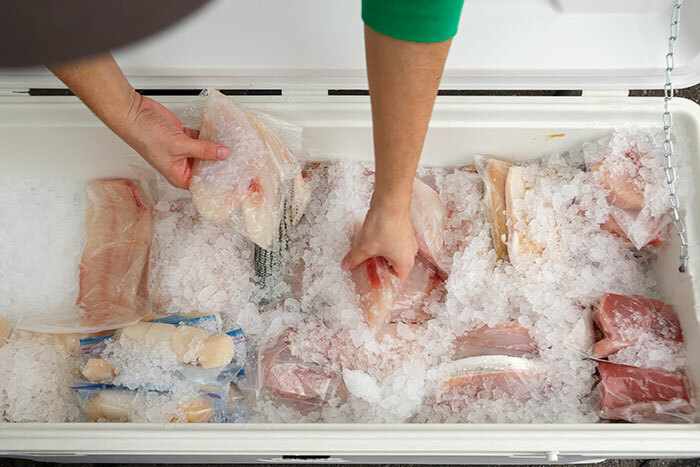 For longer-term freezing, place the shrimp in a freezer container and add cold water to cover. The water protects the shrimp from freezer burn. Oysters and clams: These can be frozen in their shells. Before placing in a freezer bag, rinse and scrub the shells under cold water to remove any dirt. From “Carolina Catch: Cooking North Carolina Fish and Shellfish from Mountains to Coast,” by Debbie Moose. Once you have a good fish recipe, different species with similar textures can be substituted, says Debbie Moose. 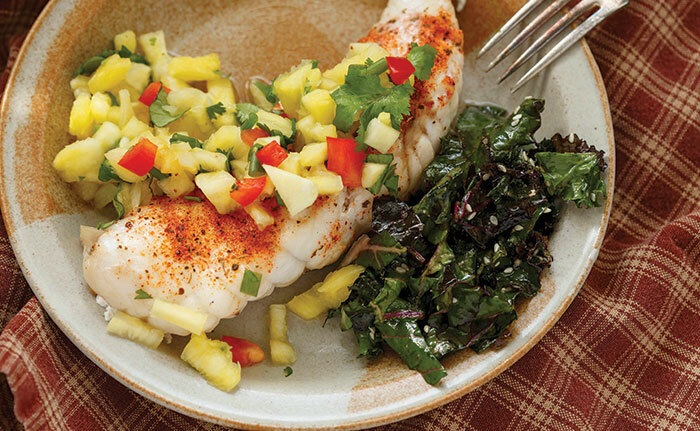 Although developed for cape shark, this recipe for blackened fillet with pineapple salsa works just as well with monkfish. Asian kale slaw with sesame oil and cider vinegar is a fresh alternative to traditional creamy coleslaw. As part of a N.C. Sea Grant program to encourage the consumption of underused fish, chef Tim Coyne of Bistro-By-The-Sea in Morehead City developed this recipe using cape shark, also known as dogfish. If you cannot get cape shark, substitute with a white-fleshed fish. Prepare the salsa by combining the pineapple, bell pepper, jalapeno peppers, chopped cilantro, lime juice, pepper and chives in a small bowl. Set aside. Lightly dust the fish with blackened seasoning on both sides. Preheat the oven broiler, and place the fish on a nonstick baking pan or a pan sprayed with nonstick cooking spray. Broil until the fish is cooked through, about 5 to 8 minutes depending on the thickness of the fillets. To serve, spoon the salsa over the cooked fish and garnish with cilantro sprigs. Note: Instead of broiling, you can cook the fish on top of the stove in a sauté pan lightly coated with canola oil. Where is Western Wake Farmers Market? What day is it open? I am trying to find a 6 pound (or so) striped bass to bake for Thanksgiving 2018. The Western Wake Farmers Market is at 280 Town Hall Drive in Morrisville. It is held Saturday mornings from 8 a.m. to noon. Looks delicious. I’m gonna try this recipe. Thanks for sharing.